between Port St. John and Titusville. Manatee Hammock, one of North Brevard's great natural resources, is a tranquil place to enjoy the canopy of trees and the Indian River Lagoon's shore with a superb view of rocket launches at Kennedy Space Center. 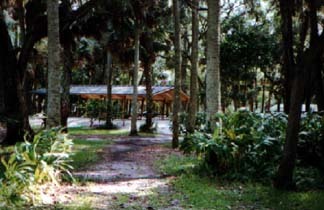 The park was acquired by Brevard County in 1993 through the Trust for Public Lands. Patrons can register online for 2 to 29 days. 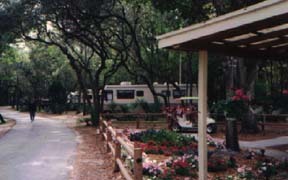 Any patron who would like to stay longer than 29 days can register by calling the campground office at (321) 264-5083. Cancellations and changes to reservations cannot be done online, you must call the campground office. Patrons can register online at HERE. 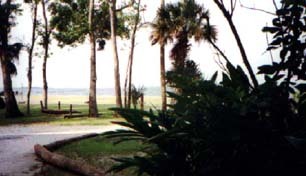 Our large field on the Indian River, overlooking KSC. Pool by the Recreation Building. 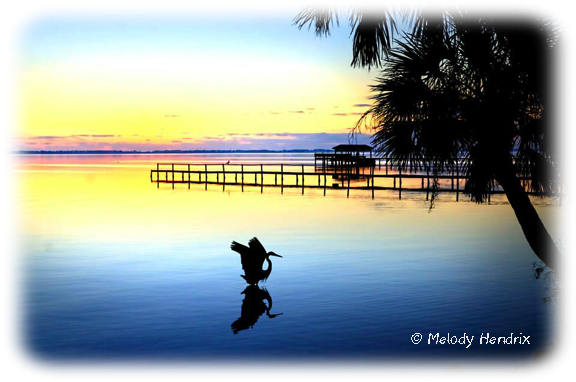 Located on the shore of the Indian River just south of Titusville in Bellwood, this 26.45 acre urban district park features camping and other recreational opportunities. The well-shaded, quiet hammock of pines, palms and foliage, creates an inviting habitat for squirrels, birds, and tropical creatures. The river offers fishing along the banks and from our new fishing pier. 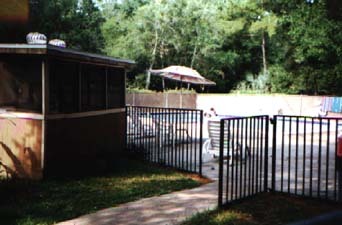 A reception center, recreation hall, grill, fire ring, two shuffleboard courts, horseshoe pit, and a pavilion are available for use; a small swimming pool is reserved for campers. 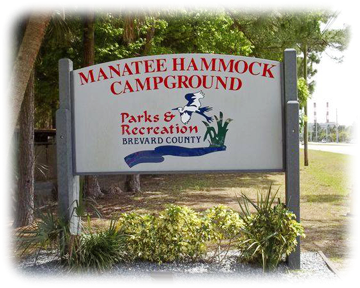 The over 40,000 visitors that come to Manatee Hammock will appreciate the upgraded amenities, spruced up surroundings and ongoing improvements such as renovation of both bath room/shower facilities, pool resurfacing, and a 28' x 44' pavilion in the group camping area. 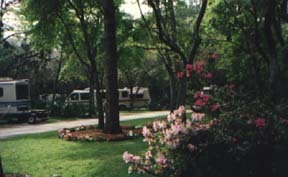 A total of 177 camping sites, including 147 full hookup RV sites, are available by reservation at (321) 264-5083. Activity field, boardwalk & dock.